This was done from a photo I took in Berlin, on a visit I made after having lived there as a broadcaster with Armed Forces Radio. One December night in 1989, right after the Wall fell, I saw a boy looking at a Christmas display at a Weihnachtsmarkt in the Tempelhof District. 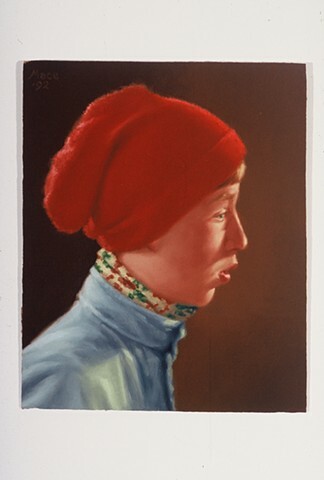 The boy was a living Vermeer right in front of me, and a natural subject for a painting. The great Pacific Northwest painter Henk Pander complimented me on it when it was on display at Gamblin Paints when I worked there. My friend Joanne Licardo now owns it.